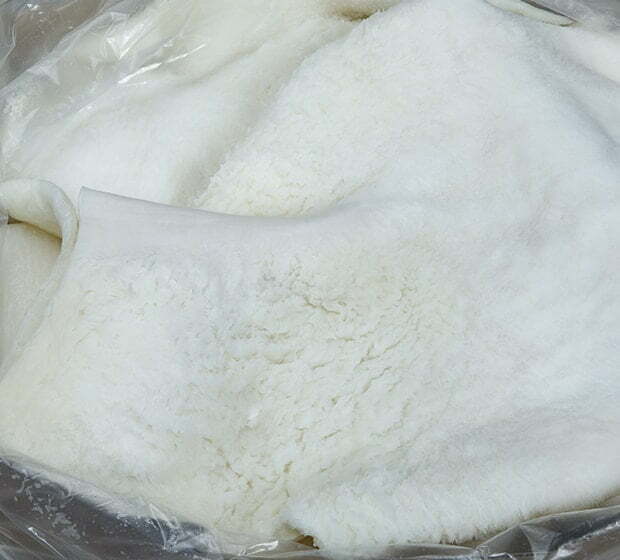 Rumen tripe comes from the first stomach of the ruminant and is sometimes also referred to as paunch or plain tripe. It is the largest of the kinds of tripe and has a slightly furry texture, though that can be lost if the rumen tripe is overcooked. 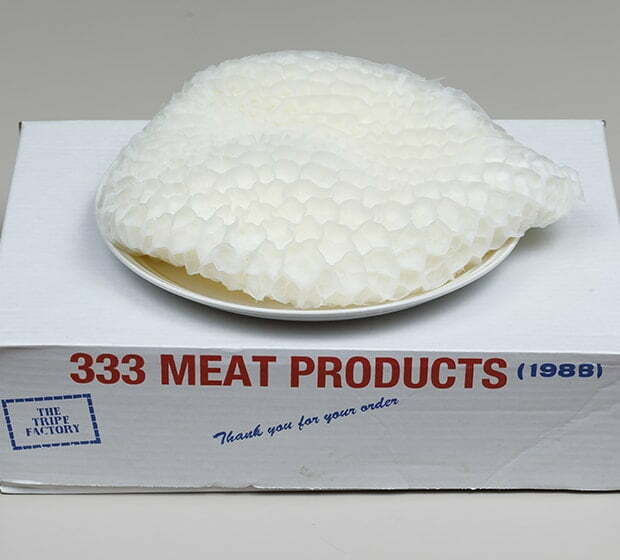 Honeycomb tripe is made with the second stomach of the ruminant, which is called the reticulum, and is named for its appearance which is alike to the honeycombs of bees. This type of tripe is both the most tender and the most dense, and can stand up to longer cooking times than other types. The thin membranes attached to the stomach wall make this type of tripe particularly suited to absorbing and holding sauces and broths for flavour. Omasum tripe originates from the third stomach of the ruminant and is sometimes called by several different names, like book, bible, bounded or leaf tripe, or manyplies. 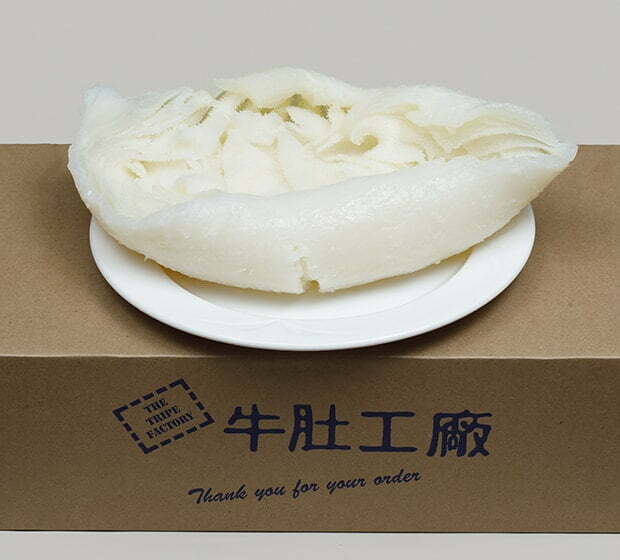 Unlike the other two types of tripe, omasum tripe consists of many thin, delicate layers of tissue that are connected to a thicker binding piece of tissue. This type of tripe is more delicate than either rumen or honeycomb and care must be taken in preparing it, as omasum tripe can disintegrate under high heat or if cooked too long.